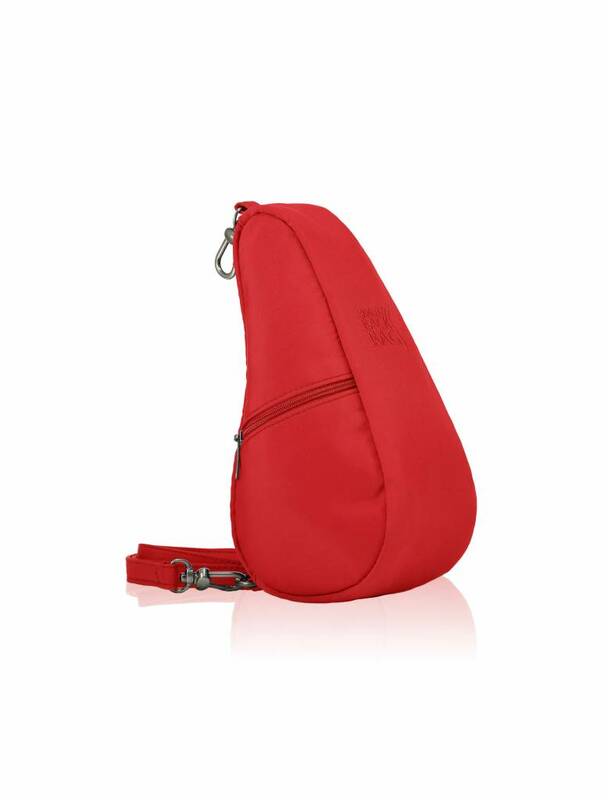 HEALTHY BACK BAG, LARGE BAGLETT (7100LG) Can be worn cross-body, on shoulder or around the waist! Microfiber is an amazing material; it is incredibly lightweight yet strong, soft, and luxuriant. What we love most about this fabric are the deep, rich colors we can achieve. Colors that demand attention whether across the back or on the shoulder. 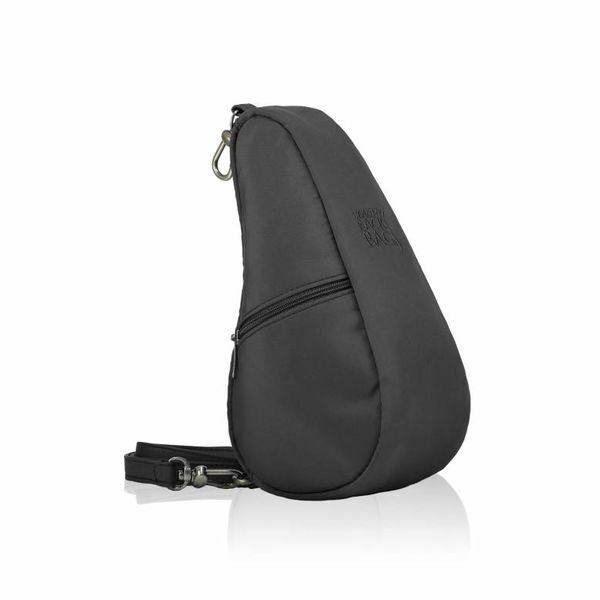 With the main zip always against your body your stuff is safe and accessible without taking your bag off. Having the double zips meet in the middle make accessing your belongings a breeze. A Baglett is the perfect combination of fashion and function, making style effortless. Cleverly designed pockets inside and out mean your stuff is organized the way you want it. This compact version of our ergonomic shapped Healthy Back Bag is a great cross-body design for lightweight and hands-free carrying! Our unique shape keeps weight evenly distributed across your back. 8 x 4.5 x 3.5"